July, 2012 | Run S.M.A.R.T. 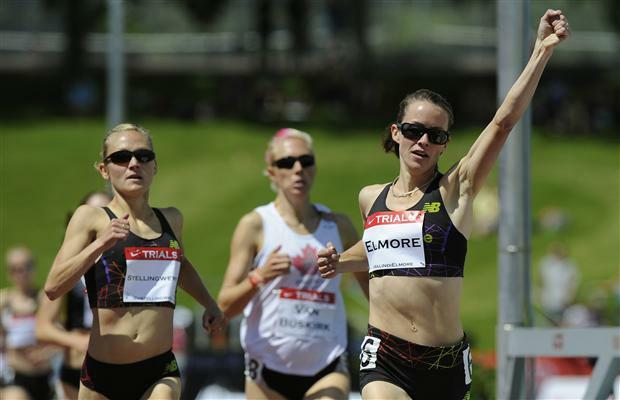 Wise words and fascinating stories from an Olympian and her coach. 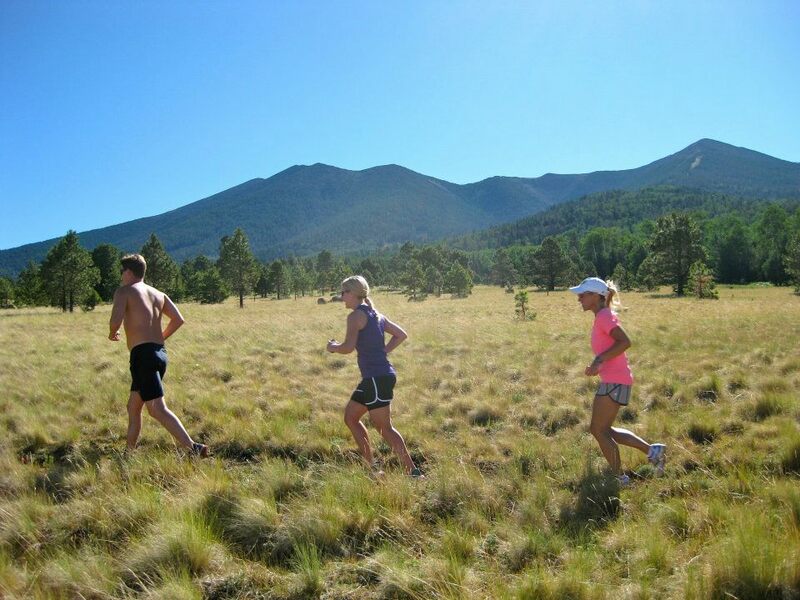 Long runs on a few of the most-scenic trails in the country. Expert nutrition advice for athletes. Delicious dinners. New friends…and lots of fun. And who could forget the Grand Canyon?! 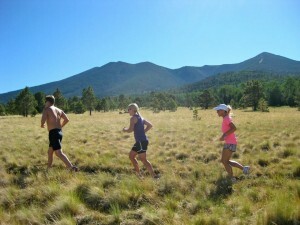 The first of two Run SMART retreats in Flagstaff, Ariz., included all of that and more. Part vacation, part running camp, the Run SMART Retreat experience left attendees rejuvenated and armed with the latest-and-greatest ingredients for a successful training season ahead (including endless amounts of GU products and Saucony gear). 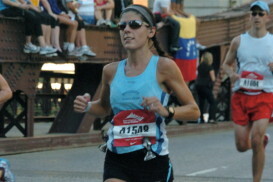 Last week we live-tweeted Alicia Shay’s Nutrition for Runners Q&A during Week 1 of our Run SMART Retreats. For those who couldn’t make it we’ve recapped some of our favorite tweets below. We learn something new every year from this talk and wanted to share some of the valuable information that Alicia shared with the group. Hope you can join us next year and to keep the conversation going weigh in on our Nutrition for Runners Urtak at the bottom of this post. Quick note: these tweets were just a quick summary of Alicia’s answers in the context of a conversation she was having with our attendees. AS: If you blindly take supplements you are putting expensive urine in the toilet. Work w/your doctor. Jack Daniels Training Plan customer Hayley Long is finishing up her third training plan. 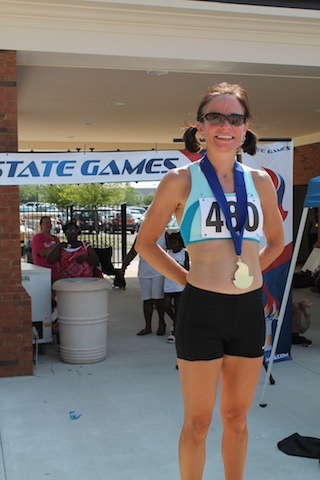 While following her latest 10k plan from Jack she decided to jump in the 1500 at the Alabama State Games. Why not? 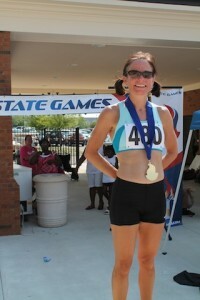 She won the Gold Medal and is now 7th in the country in the W40 division! On a day where temps reached 107 degrees on the track Hayley ran 5:45 in her FIRST 1500M run ever! [Rankings] So…add in an actual 1500M training plan next time, a little more experience and more reasonable race-day temps, and what do you think Hayley could run? We hope to find out soon enough. Using Daniels’ running formulas, the coaches are able to calculate the appropriate training paces to the second for various workouts necessary to keep clients on track to reach their goal. This means no burning out. 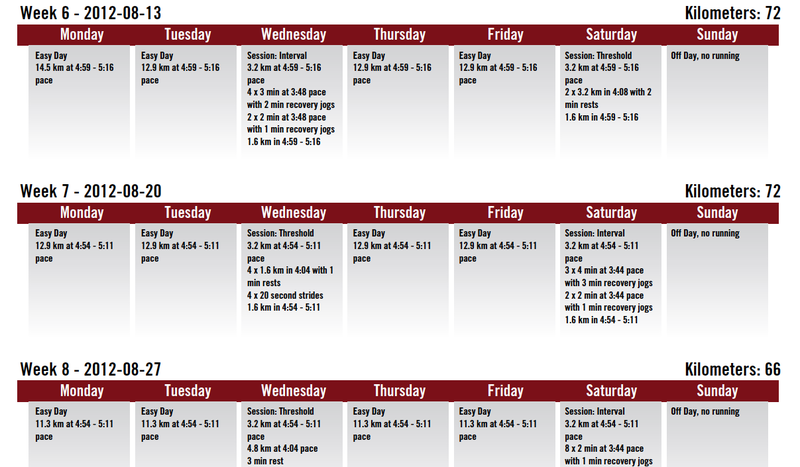 Avoiding over-training is the key to success in a five-month training block. The training schedule, according to Rosetti, is the equivalent of a private coach handwriting an individualized plan at half the price. My thoughts on the cost: Once I opened up the e-mail with my plan, I could see it was legit. The program is not priced much higher than the generic plans Active.com and others offer, and the customization is worth the extra dough. Meghan peaked at exactly the right time of year and shows why she is one of the fastest high school distance runners in the country. Congrats to Meghan and her Run SMART coach Alicia Shay on an amazing season! Maria works with Run SMART coach Ann Alyanak. 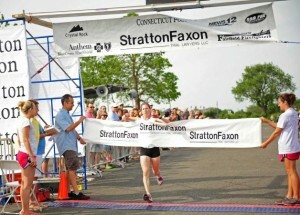 Run SMART client Sharon Lemberger, 38, of Stamford, CT won the Fairfield 5k in 17:46! [Full Results] This marks Sharon’s fastest 5k in a couple of years. Sharon works with Run SMART coach Ann Alyanak. It’s a small step but America is a little closer towards national metrification. To all our friends outside the U.S. who want to follow training from Jack we finally metricated our training plans service! Want a plan that reads in kilometers and meters? We’ve got you covered. 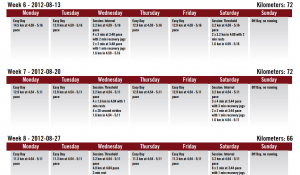 Start customizing your plan today and note in your profile that you want your schedule converted to the metric system! Race went very well. I clocked 20:29, almost my 12 week training plan goal time (which you guys set at 20:27). Damn, you guys are good! 😉 My splits were 6:34. 6:48, and 7:05 for the last 1.1 miles. This is the 5th year in a row that I’ve done this and I knocked off 23 seconds from last year. Yippee! !